Adapted from the novel by Frederick Forsyth, 1973’s The Day of the Jackal starts with a prologue that refers to French President Charles De Gaulle’s handling of Algeria in 1962. When he gives that nation their independence, a group of French extremists called the OAS plan to assassinate him. Their initial attempts fail miserably and leave the OAS in tatters. In a desperate move, OAS leaders decide to hire a foreign contract killer to slay De Gaulle for them. They settle on a mysterious Brit known to us only as “The Jackal” (Edward Fox). We follow his attempts to assassinate De Gaulle as well as the work by the French authorities to keep their leader alive and foil the plot. I think Jackal offers a very good film, and one that borders on excellence. It takes a fairly simple story and keeps us engrossed for almost two and a half hours. Going into Jackal, two plot points are obvious from the very start. For one, the Jackal won’t succeed. Since no one ever assassinated De Gaulle, the movie won’t change history. However, we also know that the Jackal will almost achieve his goal. He’ll go through plenty of close calls but nothing that will prevent him from the near resolution of his assignment. Does the prior paragraph give away the ending of Jackal? Yes, but I regard those “revelations” as akin to a declaration that the Titanic sinks or Superman saves Lois Lane. The pleasure one takes from Jackal comes from the path it follows to get to its conclusion. We never doubt how the film will resolve, but we delight in the route it takes to get there. And Jackal follows an eminently delicious road to its conclusion. Director Fred Zinnemann doesn’t waste a shot in this exceedingly tight, concise flick. I don’t know of many other films that boast such precise plotting. You won’t find an extraneous scene here, as even when a sequence feels like a throwaway, its connection to the main story soon becomes clear. Jackal really is all about the plot. Exposition never arises, which I regard as a good thing. < Of course, if we learned anything about the Jackal himself, that would mar the fun. I suppose some flicks might like to take a pop psychology approach to the role and show us what made him a cold-blooded assassin, but I think that approach would be out of place here. The Jackal’s anonymity gives him a cool sheen that would evaporate with any character background. The same goes for the other roles. We don’t learn much about the cops and others involved, and we don’t need any of that information. Jackal doesn’t bother with their home lives or their relationships unless they connect to the story. This makes it a focused tale without any flab whatsoever. This also means the flick never patronizes the viewer. It includes many small beats but it doesn’t spell them out for the audience. If you pick up on them, that’s great, but if you don’t, tough luck. The film won’t slow down its relentless pace to let you catch up, so it doesn’t mollycoddle the inattentive. I love that fact, since it really does reward the viewer with many clever bits. I don’t think that this means you have to take notes while you watch Jackal, as Zinnemann tells things in such a crisp, logical way that it becomes easy to remember the elements. It does mean that you need to grasp callbacks and quick references without warning, though, and – gasp! – you’ll actually have to think while you watch. In Jackal, Zinnemann loves to set up a premise and then ignore it for an extended period before it finally returns. The tightness with which it develops all the elements really delights. The flick doesn’t use convenient loopholes to develop the story. Instead, it ensures that when a twist occurs, we had preparation for it. Some of the most dynamic editing I’ve ever seen helps. Actually, “dynamic” doesn’t sound right, as that implies an aggressive cutting style. Instead, Jackal features smooth transitions that lead us naturally from one sequence, place and/or character to another. That’s part of that “no bathroom break” factor, as the flick zips from bit to bit in such a seamless manner that we never find any flab or slow spots. 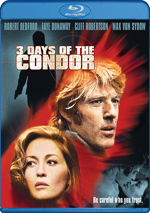 The Day of the Jackal appears in an aspect ratio of approximately 1.85:1 on this Blu-ray Disc. This turned into a satisfying presentation. Sharpness worked well, as the movie showed a fairly concise image. A little softness impacted some interiors and wide shots, but those instances remained modest and the film usually came across as tight and well-defined. I saw no jaggies or shimmering, and with a nice layer of grain, I didn’t suspect any digital noise reduction here. Edge haloes remained absent, and outside of some footage treated to look “archival”, I saw no print flaws. Colors tended toward an earthy feel, and they looked good within those constraints. Though the palette seemed low-key, the Blu-ray reproduced the hues with appropriate vivacity. Blacks seemed largely deep and rich, while shadows offered nice clarity and smoothness. I felt pleased with this appealing image. Jackal presented an uncompressed LPCM monaural soundtrack that seemed perfectly acceptable for a film of its vintage. Speech could be a bit stiff but the lines were perfectly intelligible and showed reasonably natural tones. Music didn’t show up a lot, but the score remained fairly concise, and effects showed adequate accuracy. Nothing dazzled but the audio worked fine given the movie’s age and ambitions. How did the Blu-ray compare to the original DVD? Audio appeared a bit smoother and clearer, while visuals worked much better. Released more than 20 years ago, the DVD lacked anamorphic enhancement and suffered from a slew of problems. The Blu-ray eradicated all of these and turned into a radical upgrade. Toss the DVD in the trash – or give it to someone you don’t like - and replace it with this vastly superior Blu-ray immediately. Whereas the DVD skimped on extras, the Blu-ray comes with some materials. 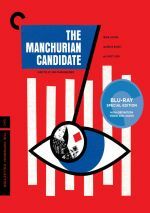 In addition to the film’s trailer - which also appeared on the DVD – we get In the Marksman’s Eye, a 36-minute interview with film historian Neil Sinyard. In this program, Sinyard discusses the novel and its path to the screen, cast and performances, director Fred Zinnemann’s impact on the project, themes and interpretation, and the film’s era and place in Zinnemann’s career. While not an extensive nuts and bolts view of the production, this becomes a fairly effective look at subjects connected to the film. Two archival pieces appear: Location Report (2:41) and Fred Zinnemann Interview (2:52). These take us to the Jackal set for behind the scenes footage as well as comments from Zinnemann and an unnamed executive. Though brief, these bring a nice look at the shoot. Finally, the set provides a booklet. It includes photos, credits and essays from film historians Sheldon Hall and Mark Cunliffe. It adds value to the package. 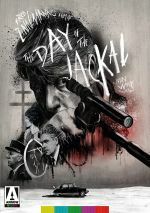 I’d like to say that they don’t make thrillers like The Day of the Jackal anymore, but I’m not sure they ever did. The movie resists any urges to dwell on extraneous story or character beats, so it provides a tight, compelling drama without an ounce of fat. The Blu-ray brings us very good picture along with era-appropriate audio and a few supplements. 20 years after the lousy DVD, Jackal finally gets a worthwhile home video release via this fine Blu-ray.